The sake dispenser can be activated with a prepaid or postpaid sake card. 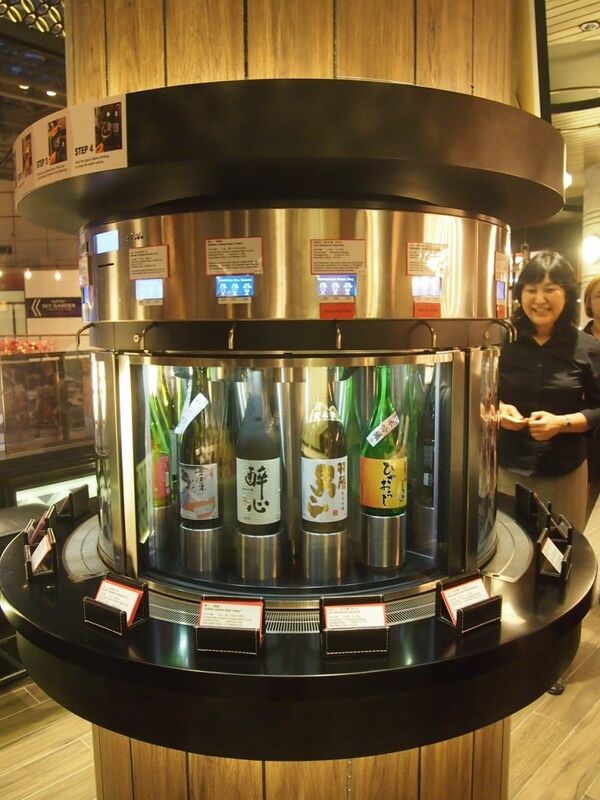 There are 16 different bottles of sake in this amazing creation of a machine. 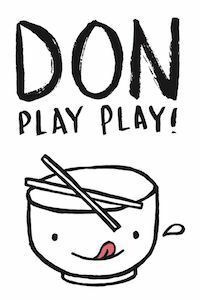 Diners can choose from 3 different serving portions for every sake. I can't tell you how much I love this machine. 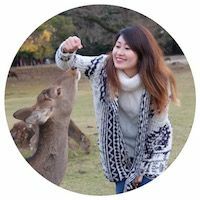 It isn't just convenient and fun but it gives consumers the opportunity to try a range of sakes. 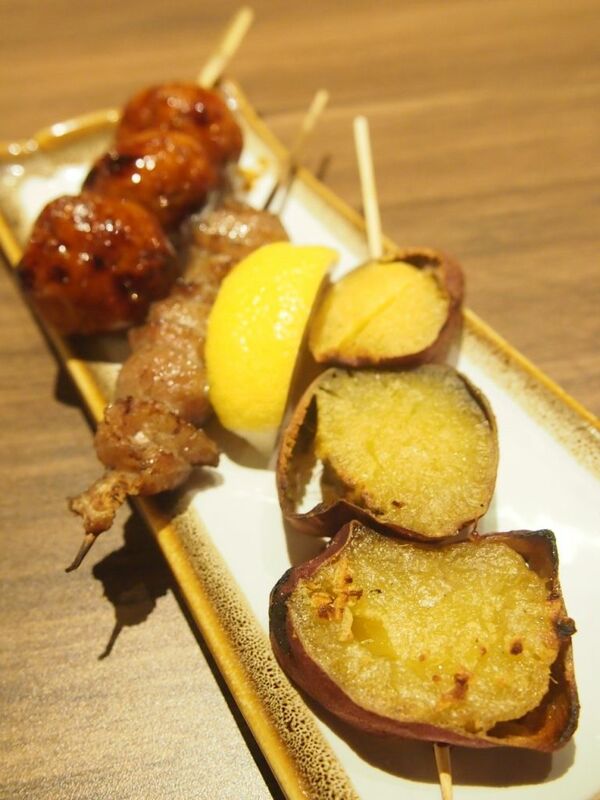 The skewers were all pretty good but I took a particular liking to the sweet potato skewer. 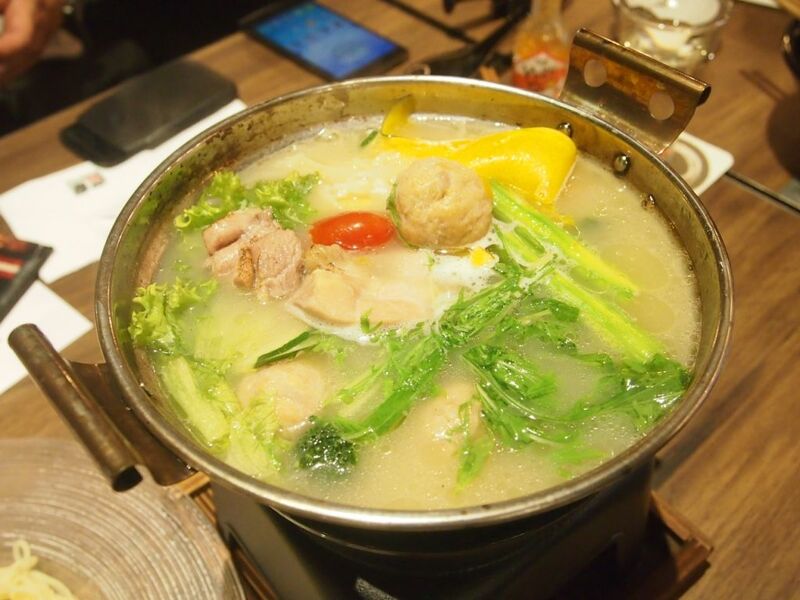 Another satisfying treat to warm up your tummy and soul when the cold winds blow will be this collagen hotpot with an abundance of tender chicken chunks. While the soup is not as tasty as the Ryoshi Mushi, it feels healthier and will definitely please those looking for a good hotpot that's not too heavy on flavours. 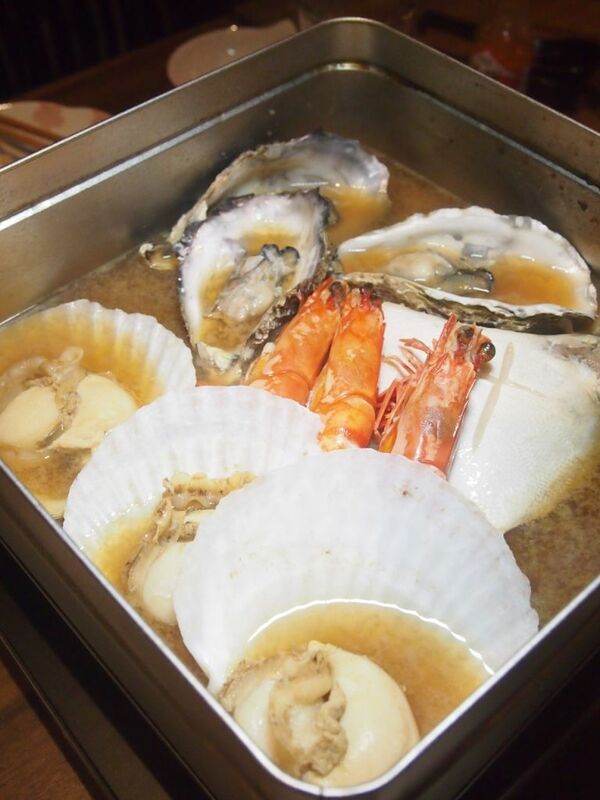 The ancient Japanese style of chargoal-grilling (irori genshiyaki) is available only at Sumiya Suntec City. 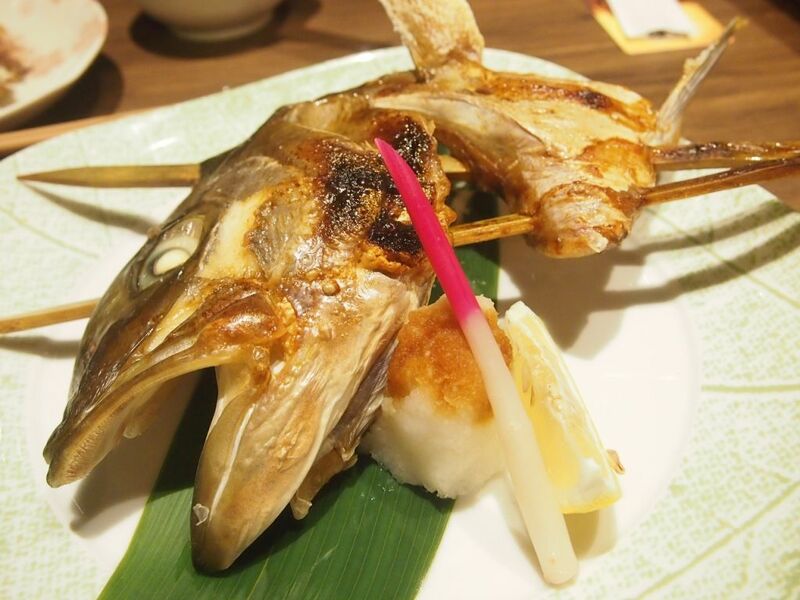 Whole fish or selected fish parts are grilled slowly vertically around charcoal. 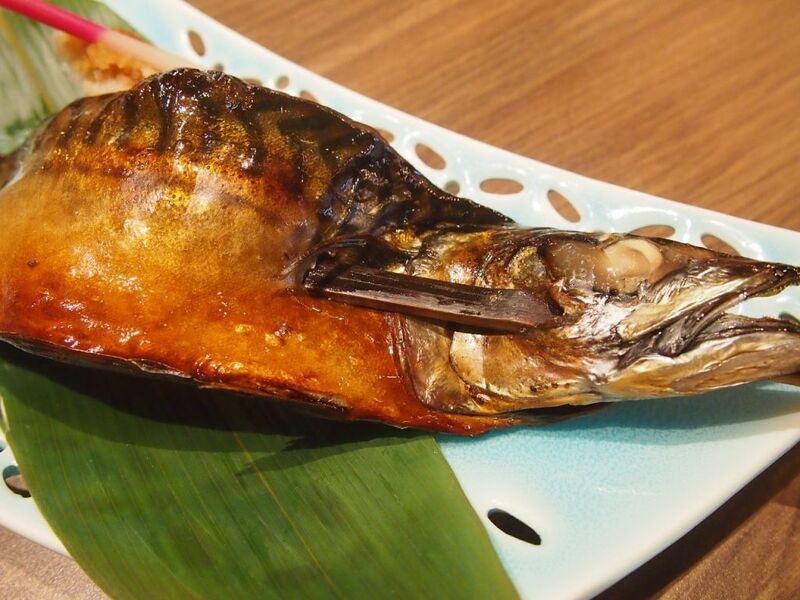 Diners can pick their choice of fish and have it air-dried in a special machine before it is cooked irori genshiyaki-style. The heat that the fish-drying machine emits replicates the warmth of sun rays, allowing diners to get a taste of "sun-dried' fish. I'll recommend the mackerel for its strong and distinct flavours. 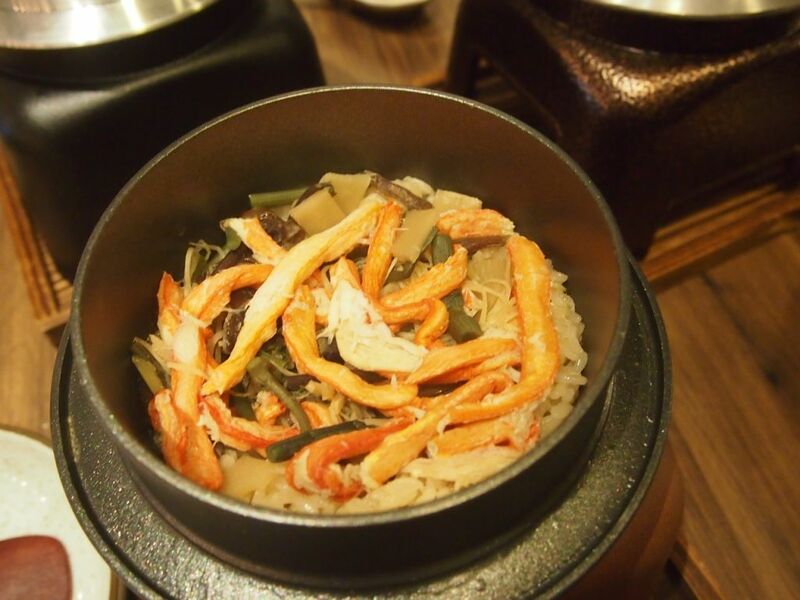 Sumiya has a range of traditional rice dishes that are cooked in an iron pot. Apart from the Snow Crab version here, we also tried the Unagi and Oyster Kamameshi Rice. 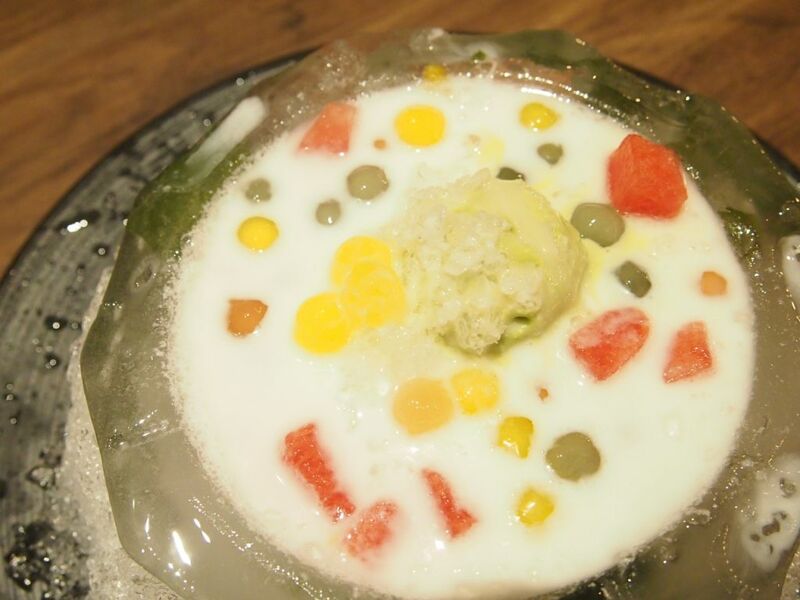 Here we have a block of ice with seaweed trapped in it, filled with coconut soup, fruits, matcha icecream and red bean. It tastes somewhat similar to bubor cha cha and I enjoyed the soup. There are only 15 servings of this sweet treat daily. The rise of technology in food and dining establishments can be seen in the increase in numbers of self-service kiosks or ipad-ordering systems. I like the ipad-ordering system as we can take our time to look through the menus and place our orders when we are ready. This also allows eateries to more efficiently allocate manpower. More pictures can also be incorporated into menus on the electronic devices. An enhanced dining experience is guaranteed as patrons need not feel pressured into ordering quickly or immediately with the servers by their sides or feel frustrated because there aren't enough available servers around to take their orders. The sake dispenser at Sumiya is an exciting jump in technology. It allows patrons to choose their sakes by reading the description that is tagged to every bottle. This definitely beats having a member of the staff describe all 16 types of sakes to every diner verbally!